Inky Fairy Designs: I found a pair of Blitsy Golden Scissors! Hi everyone! It's no secret that I LOVE Blitsy.com - perhaps a little too much my hubby might argue. LOL Anyway, they have an AWESOME giveaway going on and I created a little video to share with you all about it. Don't mind the no make up and crafty mess in the background! haha ;) Keeping it real here! 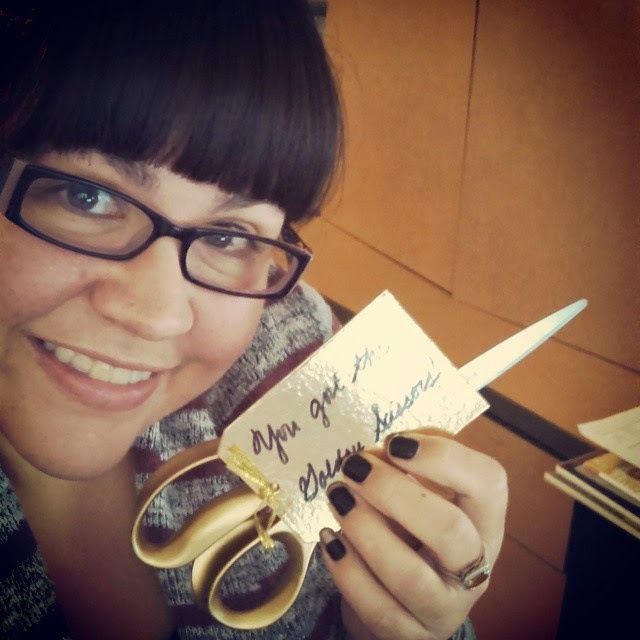 For more info, take a look at the Blitsy Golden Scissors Blog Post! Good luck! Remember, today is THE LAST DAY you can win a pair - and there are crazy awesome Cyber Monday days - check it out at Blitsy today!